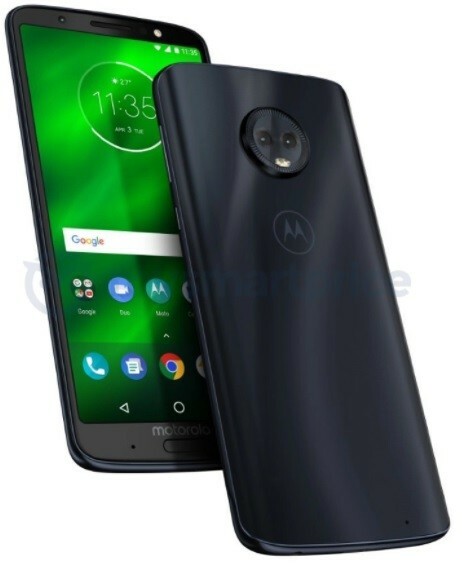 Yesterday, we came across a leaked press image of the Moto E5 which showed off its design while also revealing a rear-mounted fingerprint scanner with Motorola logo atop. 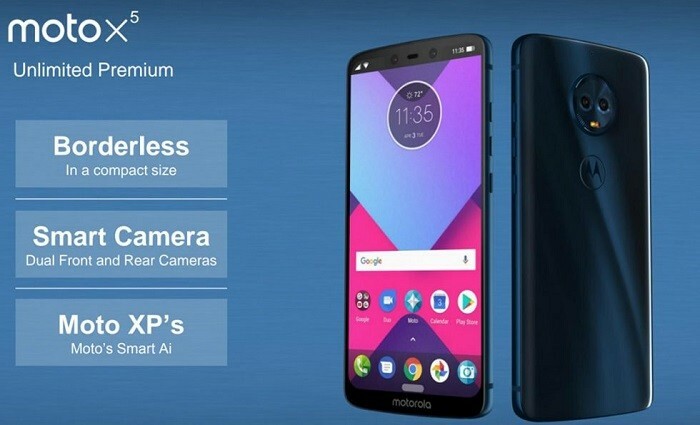 Now today, we are getting our first look at six more Motorola smartphones as their images along with some specifications have been leaked online. 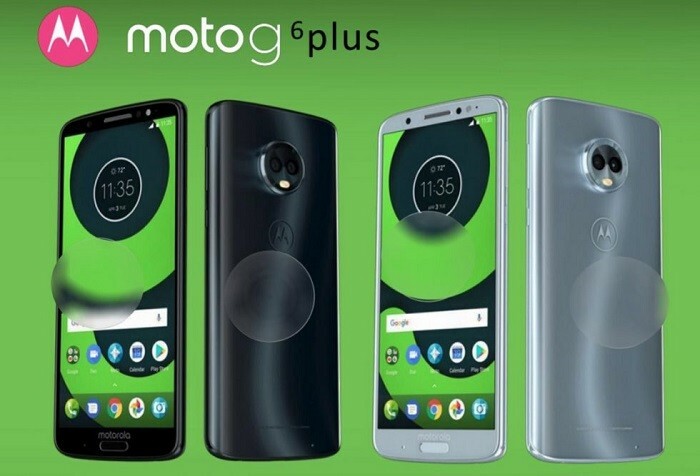 These smartphones are the Moto G6, Moto G6 Plus, Moto G6 Play, Moto X5, Moto Z3, and, the Moto Z3 Play. Oh, and there’s also a Moto Mod that has leaked along. Let’s take a look at each one of them. Let’s take a look at the Moto G6 first. The Moto G6 will be succeeding last year’s Moto G5 and G5s. 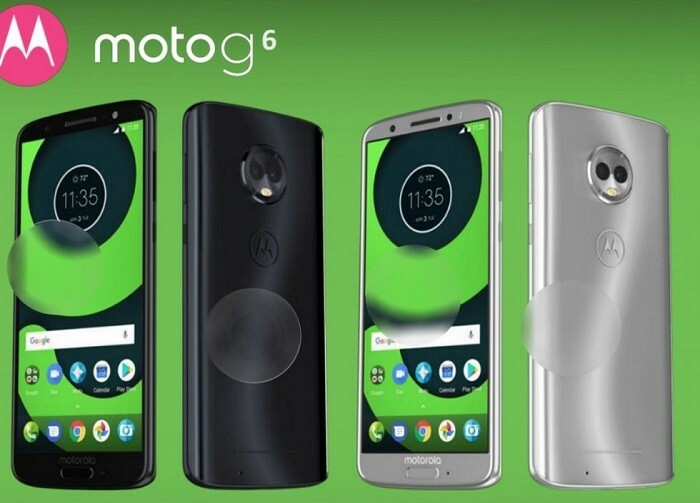 However, according to the leaked images, while last year’s Moto G series smartphones (or any Motorola smartphones for that matter) sported a screen having 16:9 aspect ratio, this year’s Moto G6 will be sporting a screen with the now trending 18:9 aspect ratio. According to the leak, the Moto G6 will sport a 5.7-inch display having Full-HD+ (2160 x 1080 pixel) resolution. Moreover, it will be powered by Snapdragon 450 SoC that will be laced with 3/4 GB RAM. The 3 GB RAM variant will come with 32 GB internal storage whereas the 4 GB RAM variant will come with 64 GB internal storage. There will also be a dual camera setup at the back which will be a combination of 12 MP + 5 MP cameras. At the front, there will be a 16 MP snapper. 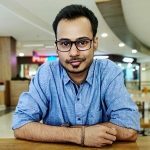 In terms of design, both the Moto G6 and G6 Plus have same looks. The design language is actually similar to last year’s Moto X4. Also, unlike the Moto E5, both these smartphones have a fingerprint scanner on the front below the display, and, the dual camera module at the back also protrudes out with the back having a lot of shimmer. Speaking about the specifications of the Moto G6 Plus, it sports a larger 5.93-inch Full-HD+ display with 18:9 aspect ratio and is powered by Snapdragon 630 SoC. The phones comes in three RAM variants – 3, 4 and 6 GB – and, comes with up to 64 GB of internal storage. The dual camera setup at the back is a combination of 12 MP and 5 MP cameras, and at the front is a single 16 MP camera. The Moto G6 is said to ship with a 3000 mAh battery whereas the G6 Plus would come with a slightly larger 3200 mAh battery. The former is said to be offered in Black, Silver and Rose Gold colors, whereas, the latter is said to come in Deep Indigo (black), Nimbus (silver) and Dark Lake (dark teal) colors. As far as pricing is concerned, the G6 is said to be priced at around $240 (around ₹15,340) whereas the G6 Plus would cost $330 (₹21,100). The Moto G6 Play has a design similar to the Moto G6 and G6 Plus, however, it sports a 5.7-inch display that has a traditional aspect ratio of 16:9 and a resolution of 1280 x 720 pixels. Moreover, the fingerprint scanner on the G6 Play is also located at the back above which is the Motorola logo. Furthermore, unlike the Moto G6 and G6 Plus, the G6 Play only comes with a single camera at the back. However, the biggest highlight of the Moto G6 Play is its huge 4000 mAh battery. 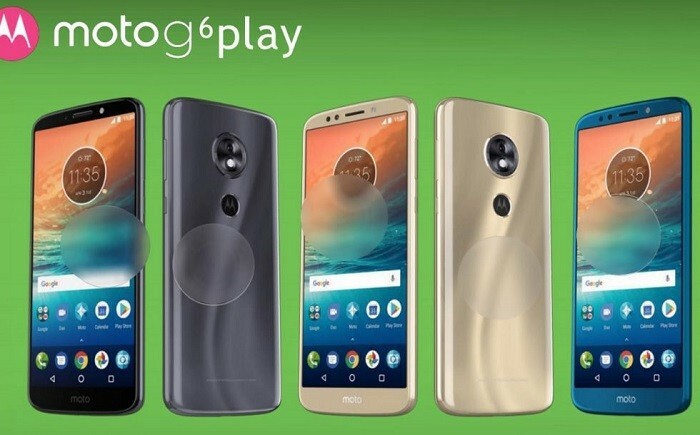 The Moto G6 Play would certainly be priced lower than the G6 and G6 Plus, and, is will come in Dark Charcoal, Gold, and Deep Blue colors. The Moto X5 will be successor to the Moto X4 that was launched last year. However, unlike the Moto X4, the Moto X5 flaunts a bezel-less design and seems to sport iPhone X-like notch up top (notice the status bar icons that are split at both the sides). It features a 5.9-inch Full-HD+ (2160 x 1080 pixel) display with 18:9 aspect ratio and rounded corners at the bottom. However, there isn’t any fingerprint scanner on the front, hence, the Motorola logo at the back could double up as the fingerprint scanner. That said, the leaked image also reveals a software button at the bottom which would probably let you perform different navigation functions like back, home and recent, just like you would on last year’s Motorola smartphones with gestures on the physical home button. Lastly, the Moto X5 also features dual camera setup at the back and on the front, and, something that’s called Moto XP which could be Motorola’s AI-based digital assistant. 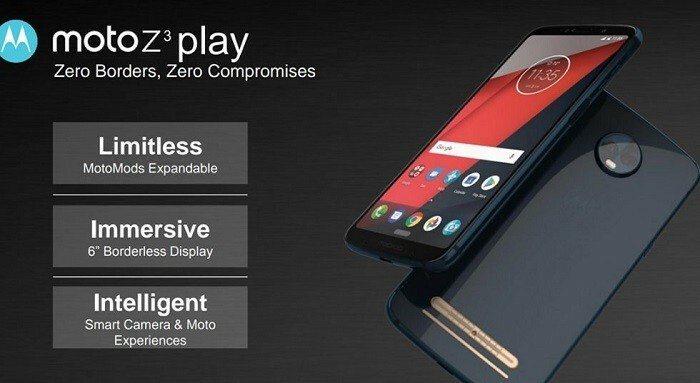 The Moto Z3 and the Z3 Play are both said to feature a 6-inch Full-HD+ display with 18:9 aspect ratio, and, similar to the Moto X5, both these smartphones will come smaller bezels. The leaked images also reveal dual camera setup at the back and support for Moto Mods. Moreover, there’s no fingerprint scanner at the front on either of these phones, hence, chances are Motorola will either rely on face recognition or on in-display fingerprint scanners. There’s nothing concrete on this bit yet. That said, both the smartphones also have a software button at the bottom at the place of fingerprint scanner which would let them perform different navigation functions just like they would on last year’s Moto smartphones with the swipes on the fingerprint scanner. Furthermore, the image of Moto Z3 also shows the phone with curved edge display like we have seen on the Galaxy S8. 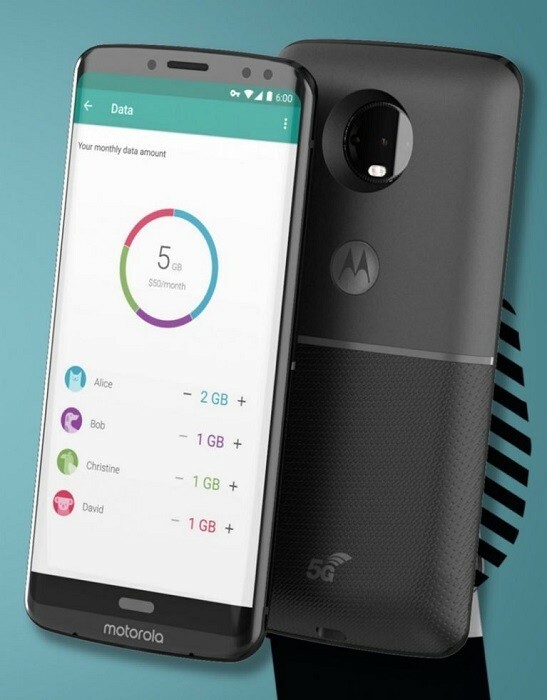 And, the image also shows a 5G Moto Mod which might add 5G capabilities to a smartphone. However, it’s unclear whether this is an actual Mod or just a render from Motorola for its partners serving as a reference of sorts. Having said that, Motorola is also expected to launch a Moto Z3 that would be powered by Snapdragon 845 SoC with higher resolution display. All the aforementioned information came from Droid Life who received it from a single source, however, all this information has been verified by reliable leakster Evan Blass who has also said that none of these images are fake. As usual, there’s no word from Motorola yet regarding any of the aforementioned products. However, the Moto G6 series smartphones are expected to be announced next month at Mobile World Congress 2018 in Barcelona, Spain. So, which of the aforementioned Motorola smartphones did you like the most. We personally liked the Moto Z3 and X5 more.